I am excited to let you all know I have two books on their way and will soon be mine. I'm planning on blogging my way through them! One of the books was an idea from my friend, PC. The other I read about today on a sewing blog I like to peruse. Oh, and thank you to my wonderful neighbor for the giftcard I used to buy them. 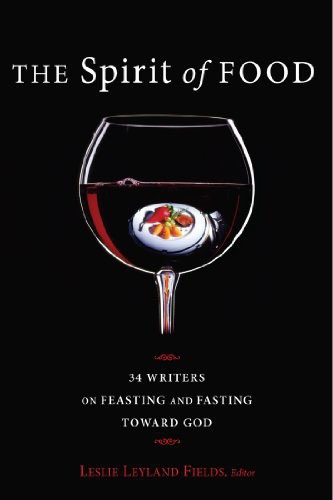 Book número uno is called, The Spirit of Food: 34 Writers on Feasting and Fasting toward God, edited by Leslie Leyland Fields. Book número dos is called, Stitch by Stitch: Learning to Sew One Project at a Time, written by Deborah Moebes. Have you heard anything about these books?